With Rudimental and Major Lazer's anthemic collaboration Let Me Live about to take over our summer, South African photographer and director Chris Saunders provide the fantastic blockbuster video that the dancehall-inspired track deserves. 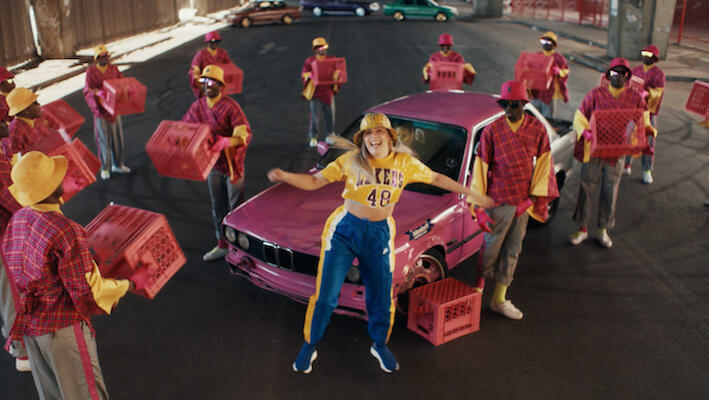 As the song is a global alliance of music artists in the UK (Rudimental and guest singer Anne-Marie) the US (Major Lazer) and Africa (Nigerian rapper Mr Eazi), Saunders has created a brilliantly vibrant video that pinballs between London and Johannesburg. And in the South African section in particular, Saunders stages a remarkable show of colour, choreography and characer: some of the most talented dancers in South Africa provide a heart-surging display of music, dance, fashion and street culture, in an underpass of Jo'burg's M2 motorway. It's dazzling, and as lead performer, Anne-Marie doesn't disappoint either - she is completely wrapped up in the moment too. Saunders, who is based between Johannesburg and Paris, has spent years researching and documenting South African dance and performance culture. He has revealed that the choreography for the Let Me Live video was designed to showcase the dancers’ original work.